Patients deserve valid and transparent measures of quality in health care, but a lack of standards and auditing for these measures can misinform consumers rather than guide their health care choices, say researchers from the Johns Hopkins Armstrong Institute for Patient Safety and Quality. Their discussion paper titled Fostering Transparency in Outcomes, Quality, Safety, and Costs was published today as part of Vital Directions for Health Care, a publication commissioned by the National Academies of Sciences, Engineering, and Medicine, a consortium of nonprofit institutions that advises the federal government on health issues affecting Americans. The publication is a collection of articles that aims to prioritize key issues for health care leaders and policymakers. Written by Peter Pronovost, MD, PhD, director of the Armstrong Institute and Johns Hopkins Medicine’s senior vice president for patient safety and quality; J. Matthew Austin, PhD, an assistant professor at the Armstrong Institute; and other experts in the field, the paper argues for better and consistent measurement and reporting standards to ensure that performance measures inform rather than confuse consumers and appropriately classify the quality of care provided by the nation’s health care providers. For a long time, patients have used performance measures and rating systems to help guide their health care decisions. While quality measures and ratings can inform of a hospital’s shortfalls, there are serious concerns about their ability to gauge the true safety of a hospital. The results can lead to conflicting scores from respected national rating systems and may confuse or provide little guidance to consumers. In their discussion paper, Pronovost and Austin address additional key challenges to produce reliable and valid performance measures. Challenges include the multistep process of measuring and reporting health care quality (every additional step to the process invites opportunities for errors), no single entity is entrusted with ensuring the validity of the entire process, and lack of funding. Funds that could be used to further research and develop health care performance measures to ensure efficacy, effectiveness and cost-effectiveness are limited. Create a health data standard-setting body.Policymakers could create a single, independent organization to develop standards for health care performance measures and the data used to populate those measures. 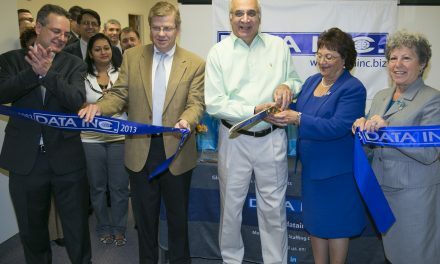 The organization could emulate the Financial Accounting Standards Board, a nonprofit organization that is the designated accounting standard setter for public companies. Build the science of performance measures. Policymakers can encourage funding agencies to fund research on the science of performance measures, encourage the Centers for Medicare and Medicaid Services to continue its existing efforts, and encourage collaboration among federal agencies involved in performance measurement. Better communicate data to patients.Policymakers can fund research on how to effectively communicate with consumers about differences in quality and costs of care. Additional information about the Armstrong Institute’s work in patient safety and quality improvement is available on the institute’s website. Established in 2011, the Armstrong Institute works to improve clinical outcomes while reducing waste in health care delivery at Johns Hopkins and around the world. Led by Pronovost, the institute develops and tests solutions in safety and quality improvement that can then be shared at the regional, national and global levels. Using a scientific approach to improvement, the Armstrong Institute employs robust measures that can be broadly disseminated and sustained. Johns Hopkins Medicine (JHM), headquartered in Baltimore, Maryland, is a $7.7 billion integrated global health enterprise and one of the leading academic health care systems in the United States. 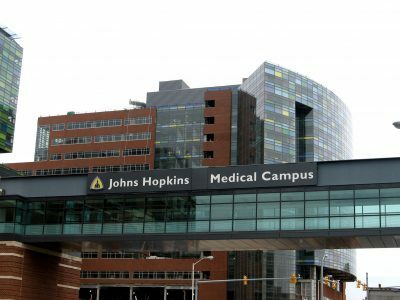 JHM unites physicians and scientists of the Johns Hopkins University School of Medicine with the organizations, health professionals and facilities of The Johns Hopkins Hospital and Health System. JHM’s vision, “Together, we will deliver the promise of medicine,” is supported by its mission to improve the health of the community and the world by setting the standard of excellence in medical education, research and clinical care.